Democratic presidential candidate, Bernie Sanders gains momentum by sweeping three states on Saturday, March 26 in the race to the White House. Sanders scored major victories in Alaska, Hawaii and Washington in the respective states caucuses. Delaria Ridley, a sophomore Strategic Communications major from Atlanta said, “Bernie Sanders has been a consistent candidate. I don’t think many people realize that and sometimes overlook his consistency on national policies.” Ridley went on to say that she thinks Clinton will be the projected winner but Sanders deserves the win. Sanders also defeated Clinton in Alaska’s state caucus on Saturday. Sanders received nine delegates from Alaska, while Clinton received zero. Sanders tweeted Friday, “Washington, thank you for your huge support! It is hard for anybody to deny that our campaign has the momentum.” Sanders won seventeen delegates in Hawaii’s caucus. This puts Sanders at 1,011 total delegates, a step closer to the overall 2,383 needed for the Democratic nomination. ABC Political analysts project that Sanders would not have enough to clinch the Democratic nomination because it would be hard for Sanders to get 988 more delegates. Alexis Davids, a freshman Biology major from Houston said, “To reach a pledged delegate majority, Sanders will have to win most of the delegates from big states such as California, New York, Pennsylvania and New Jersey. 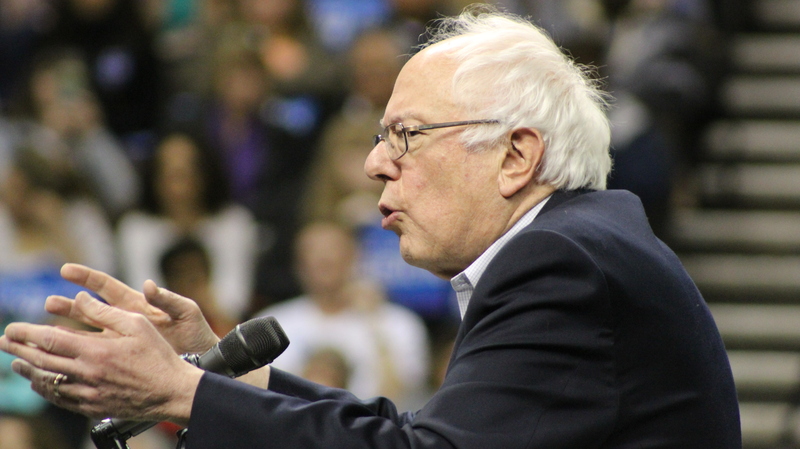 A major loss in any of those states could be fatal to his chances.” Sanders would also need a win on smaller states such as Indiana, Kentucky and New Mexico. Demographics suggest that these states could be close. The next primaries are in Wisconsin, New York and Connecticut. According to ABC, political analysts suggest Clinton will have a victorious win in New York considering she was the state’s senator for eight years. Clinton has already kicked off her campaign for New York’s presidential primary on April 19. Clinton focused her campaign rally on healthcare rights and foreign policy at the famous Apollo Theater in Harlem Tuesday, March 29. She also put an emphasis on her concrete actions in health care aid for emergency workers while being a New York senator. Sanders is scheduled to hold a rally in Bronx, New York on Thursday, March 31. Sanders has developed a strong liking among New York democrats because of his $15 minimum wage policy and free college he plans to put in place if elected president.